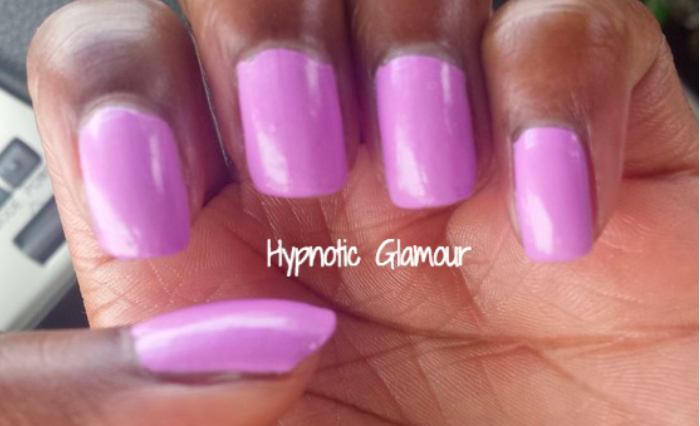 This is a really pretty lavender color from this collection and the color is the best thing about this polish. There is nothing shiny at all about this polish. It dries to a dull finish so a top coat is a must. I used L.A. Colors Pro Gel Top Coat. Also, like the other colors in this collection, the formula is really thick, like paint. The good thing about that is that you only need one coat for full opaqueness. Even though used a base and top coat and this polish still chipped like crazy the next day. I'll have to say I am quite dissatisfied. Keep reading to see my swatch and rating.